Liverpool warmed up for their mouthwatering clash against top-four rivals Manchester City later this week with a confident 4-1 win over Stoke. Adam Lallana and Roberto Firmino turned things around in the first half after Jon Walters' opener before a Giannelli Imbula own goal and Daniel Sturridge's first in the Premier League this season, 56 seconds after coming off the bench, wrapped things up. They moved back into second ahead of City, who visit on Saturday, to maintain the six-point gap with leaders Chelsea. Pep Guardiola's side will not relish their New Year's Eve trip to Anfield to face a team who have now scored 100 league goals during Jurgen Klopp's 48 matches, equalling the record set by Kenny Dalglish. Liverpool have scored 86 league goals in 2016, their most in a calendar year since 1989, and have 40 points from their opening 18 matches for only the second time in the Premier League era. Their ability to score at home - half of their eight Anfield league matches have produced four goals or more - is why this weekend's visit of City is so highly anticipated. However, Klopp had warned the Stoke fixture - sandwiched between the Merseyside derby and City - was not to be under-estimated and boyhood Everton fan Walters' sixth league goal in 12 appearances against the Reds proved that. Stoke's record at Anfield is the worst in the Premier League, having not won in 1959 and scored only two goals since 1983, but Walters set about changing that as he nipped in front of Dejan Lovren to catch Simon Mignolet unawares with a near-post header which the goalkeeper got a hand to but could not keep out. Mignolet did much better when former Reds midfielder Joe Allen created space for himself inside the penalty area, the Belgium international parrying the shot far enough away from the waiting Peter Crouch. That was the signal for Liverpool to come out of their post-Christmas slumber with Crouch clearing Firmino's shot off the line but there was no-one to fall back on when Lallana, via a deflection from another ex-Red Glen Johnson, swept home from the narrowest of angles. 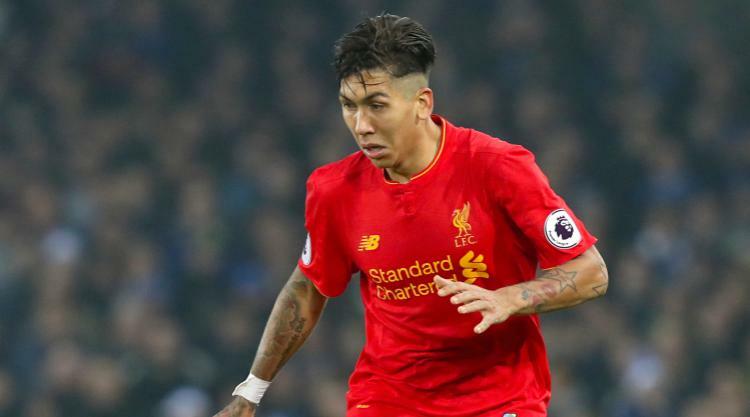 Firmino, who was charged with drink-driving on Christmas Eve, added the second a minute before the break via both posts having blazed over a good chance while Mane, who had tormented Bruno Martins Indi for the first goal, scuffed a shot wide of the upright. Mane played a part in Liverpool's third on the hour, if only to put Imbula under pressure, but it was Jordan Henderson's pass inside Johnson to feed Origi which created the chance. Sturridge's arrival with 20 minutes ago produced the fourth when Ryan Shawcross sent a blind backpass straight to the England striker, who confidently rounded goalkeeper Lee Grant before netting.